Welcome to the NHS Discount Offers Food and Drink section. After a long day’s work, it’s sometimes hard to find the energy to cook, or do a food shop. That’s why we’ve partnered up with some of your favourite brands to offer cheaper and easier ways to feed the family, and also spoil your loved ones (or yourself). At the tips of your fingertips, it takes minutes to select your favourite brand, check out our offers, and purchase your goods at a low price! Fancy a little bit of chicken in your life? Why not order in, or head down to Nando’s, and experience their juicy meal options, for 20% off. Tired of spending £100+ on your food shop? That’s why we get vouchers from Iceland, like £8 off when you spend £50+, to stretch that weekly budget even further. From pizza to coffee, we have offers that will satisfy everyone’s needs (even those that cba to leave the house, we’ve got discount for takeaway meals too!). But that’s not all. It’s sometimes hard to decide what to buy your family and friends as gifts, that’s why we work with brands like the Chocolate Trading Company and Hamper Gifts, so that you can make bring a little bit of foodly love to your mother’s birthday. What sort of discount do we offer? 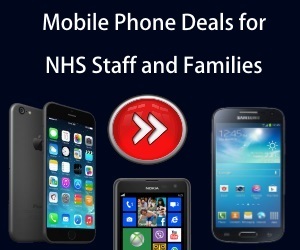 We provide you with the best of each company’s current deals and offers, PLUS we have some EXCLUSIVE discount codes and offers just for NHS staff, family, and friends. For example, one of our current brands that is offering an amazing deal is Frankie and Benny’s, providing £10 off your next visit when you sign up. But one of our brands offering an exclusive code is the Gourmet Society, with their 3 months trial for only £1, using the code AMINPOUND. Do Pret A Manger offer a discount code for NHS Staff? Does Chiquito offer a discount to NHS Staff? KFC NHS Discount for Staff? Do Pizza Express offer an NHS Discount?